Flat Heroes' action largely entails avoiding death by dashing, clinging to walls, and using the environment to your advantage. 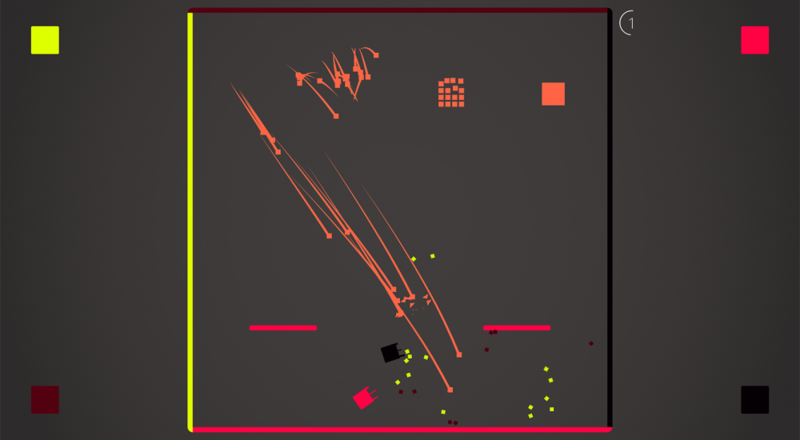 You control a square and each level are faced with a different challenge. Sometimes it's a bunch of arrows that will follow you around. Other times it's little dots that will try to snipe you. There are over a 100 levels you can play with your friends with the occasional boss level tossed into the mix. Flat Heroes' Waves mode, which is the dedicated co-op mode of the game, supports four players locally throughout all 100 levels. There is no set release date or price for the game, but you can follow the Greenlight page for the game for all the latest updates from the developers. Page created in 1.2870 seconds.